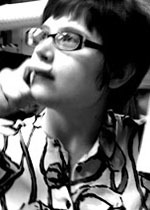 Abbey Mei Otis is an American writer born in 1989. She is currently a student in the creative writing program at Oberlin College, as well as a graduate of Clarion West 2010. Her work has previously appeared in Strange Horizons and The Susquehanna Review.